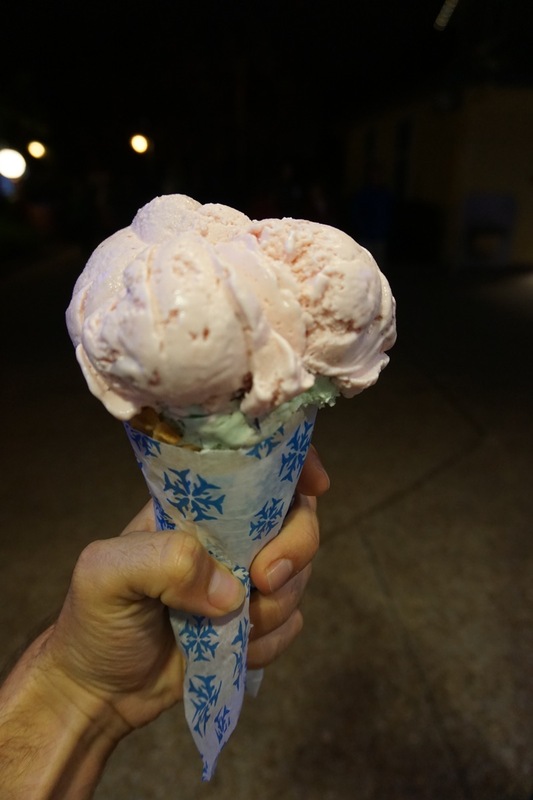 I found myself at Sea World one evening and decided to get some ice cream. I was going to get the ice cream from a location in the back of the park but they didn't have waffle cones. I made my way up to Polar Parlor near the park entrance, and found that their waffle cones were cheaper than the regular cones elsewhere in the park. Weird. I had strawberry and mint chocolate chip in a waffle cone. The portion of ice cream was huge, overflowing over the edges of the large waffle cone. Out of the two flavors, I preferred the mint chocolate chip. The strawberry flavor wasn't as pronounced as it should have been, while the mint chocolate chip tasted like I expected. Dragon Court Super Buffet is a Chinese buffet located right off Disney property. I've assumed it catered towards tourists, meaning overpriced bad food. Dragon Court has been around for as long as I can remember, but I recently ended up eating there at lunch for the first time. I was pleasantly surprised. 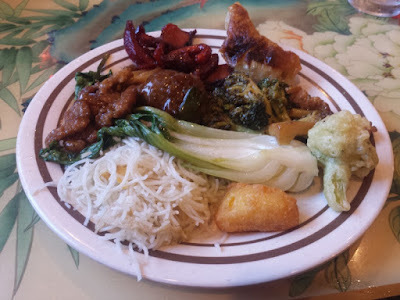 They had some items not typically found on other Chinese buffets in the area and the majority of the food was pretty tasty. On my first trip to the buffet, I tried the curry chicken, fried rice, Chinese eggplant, beans, lo mein, tempura vegetables, pork dumplings, and a crab rangoon. 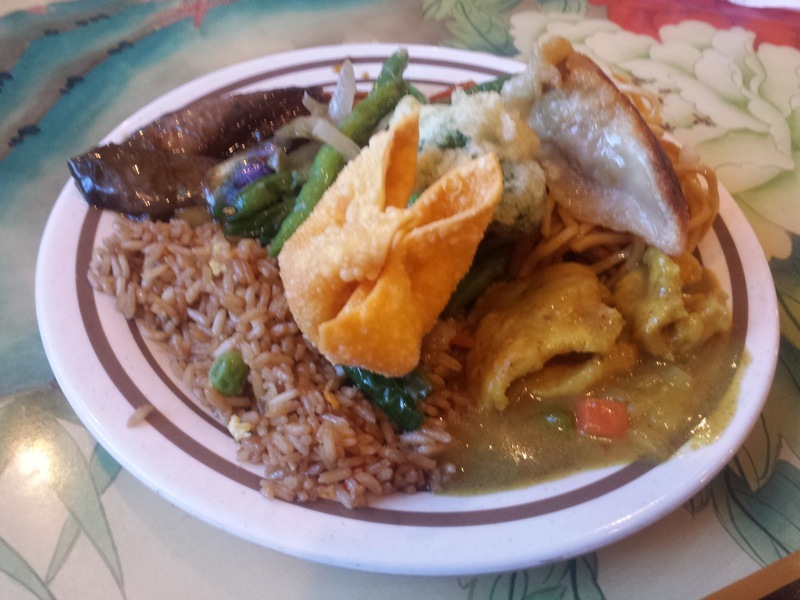 The stand out dishes were the eggplant and curry chicken. Second plate had a few more items. There was some baby bok choy, chow mei fun, boneless spareribs, chicken and broccoli, and some sort of spicy pork. 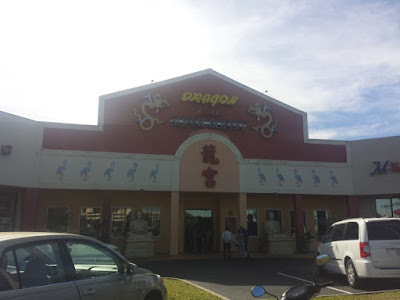 I did enjoy the food that I ate on my first visit to Dragon Court Super Buffet. Hopefully their quality stays consistent.